In the past, refugee status was considered a short-term consequence of conflict. However, as observed in the cases of refugees from Afghanistan, Iraq, and Syria, protracted refugee situations have become the norm rather than the exception. This shift has forced related actors to develop new strategies to cope with the challenges of protracted refugee situations. It is within this context that the presence of refugees, particularly the Syrians in Turkey, is likely to be a medium to long-term situation requiring plans relevant to this time frame as well as recognition of the long-term economic, social, and political responsibility of supporting these refugees. Therefore, dealing with refugees in Turkey at the present time is not a question of halting the influx of refugees and reversing their movement, but requires practical measures aimed at providing them with better settlement and integration opportunities. The integration of refugees is a multifaceted process, so any assessment must be complex. This article focuses on the question of how the Turkish asylum regime has tended to respond to the issues of Syrian refugee integration by creating some new legal and administrative tools over the last few years. Syrian migration to Turkey, trends in the Syrian refugee flow, and the timeline of the legislative process could be divided into three periods. The first period began with the first flow of Syrians into Turkey in 2011 and the period up until the summer of 2015. Turkish authorities followed an “open door” policy and began constructing tents in the southern provinces of Hatay, Kilis, Gaziantep, and Şanlıurfa, called Syrian refugees “guests,” which granted them no legal rights and assumed a temporary and short stay. In this period, especially in the second half of 2012, after the failure of the Kofi Annan’s six-point plan for Syria for a ceasefire, conflicts in Syria deepened and on average more than 20,000 refugees arrived in Turkey monthly, which continued to rise throughout 2013. In the third phase of the Syrian civil war in 2013, the influx of Syrian refugees into Turkey peaked. In the first half of the year, the average monthly number of refugees arriving in the country was nearly 40,000. By late 2014, 55,000 people were seeking asylum in Turkey every month – fueled by increased violence in Syria and neighboring Iraq (connected with the emergence of the radical group known as the Islamic State in Iraq and the Levant (ISIL), which seized large territories in both countries during the summer of 2014). Turkey’s Syrian refugee population was more than 1.7 million as of mid-March 2015 – triple the numbers in December 2013. Due to the continuity of the flow from Syria to Turkey and the EU directives on asylum and migration since the early 2000s, the Turkish government adopted the Law on Foreigners and International Protection (LFIP) in 2014. This law specifies procedures for foreigners, refugees, and people in need of international protection, including the conditions for temporary protection, which is limited to situations where foreigners were forced out of their country, could not return, and were in need of emergency and temporary protection. Turkey’s Syrian refugee population was more than 1.7 million as of mid-March 2015 – triple the numbers in December 2013. During the summer of 2015, the movement of refugees from Turkey to Europe reached the highest level. It was a period when thousands of refugees suffered seriously at European borders. Some tragically lost their lives at sea. These events marked the second phase in Syrian migration towards Europe. The number of refugees arriving in Europe seeking international protection increased from 138,000 in 2014 to nearly 500,000 in late 2015. After a new wave of refugees arrived in Europe in the summer of 2015, the EU collaborated with Turkey to control and reduce the flow of refugees arriving. In order to limit the irregular migration, the EU and Turkey agreed on an Action Plan on 29 November 2015. In exchange, the EU committed to: a) re-energise Turkey’s accession process by establishing structured and more frequent high level dialogue with Turkey and opening new negotiation chapters; b) accelerate the lifting of visa requirements for Turkish citizens in the Schengen zone by October 2016; and c) provide an initial three billion euros to improve the situation of Syrians in Turkey. The third period of the Syrian migration to Turkey refers to a process in which policies and practices are moving in the direction of integration. For instance, the Turkish government started to issue work permits for Syrian refugees who have been in Turkey for more than six months in January 2016. According to the work permit regulation, employers have to apply on behalf of employees once residency, registration, and health requirements are met. An employment quota also applies: Syrians cannot exceed 10 percent of the employed Turkish citizens in the same workplace. As of July, only 5,500 have been granted a work permit in 2016, which amounts to 0.2 percent of the Syrian refugee population. Turkish President Recep Tayyip Erdogan’s announcement on 2 July 2016 that Syrians could eventually be granted Turkish citizenship is another important step in showing the Turkish government recognizes that the settlement of Syrians in Turkey could turn into a long-term and/or permanent settlement. Since the Turkish state does not formally recognize the fact that the country has turned into a country of immigration where a growing number of migrants and refugees tend to settle, it is hard to claim that there are officially formulated comprehensive integration policies aimed at incorporating migrants and refugees into the wider societal context of the country. Most of the public and policy debates on the integration of migrants and refugees have occurred due to Turkey’s EU affairs, which require the harmonization of relevant regulations to the EU acquis. However, there was no concrete formulation of integration policies until the LFIP legislation was passed in 2013. Article 96 of the LFIP deliberately uses the term “harmonization” instead of “integration,” which reflects a very cautious approach to integration issues. Consequently, the laws regarding labor market integration for foreigners have been rather weak due to the fact that Turkey was more of an emigration country as well as a transit country rather than an immigration country. The shift in migration patterns towards more immigration coupled with the accession negotiations with the EU have resulted in new legislative efforts since 2000 in Turkey’s immigration laws and regulations. Accordingly, regulations for labor market access for foreigners and refugees are gradually improving. The Law on Work Permits for Foreigners (LWPF), passed in 2003, and later the LFIP, passed in 2013, dealt with the regulation of foreigners’ status and work permits but were not enough to provide work permits for many migrants. Article 96 of the Law on Foreigners and International Protection (LFIP) deliberately uses the term ‘harmonization’ instead of ‘integration,’ which reflects a very cautious approach to integration issues. The LWPF of 2003 was the primary legislative change regarding the economic activities of foreigners. Important changes included in this law were that work permits would be granted in view of labor market demands instead of nationality, work permits could be granted to individuals rather than companies, and the process of acquisition would be institutionalized, giving the Ministry of Labour and Social Security exclusive authority. This law targeted the employment of foreign workers in sectors where there is demand for labor but no supply of labor by the native population, but it does not grant refugees any direct right to work. The subsequent 2013 LFIP (Law 6458) contains very few new regulations on work permits and the integration of foreigners into the labour market. The law introduced a long-term residence permit for foreigners who have stayed at least eight years uninterrupted in Turkey. Additionally, the permanent residence permit grants the holder all the rights of a Turkish citizen except for the right to vote, be elected, enter into public service, and import tax exempt vehicles. One of the most important sections of the law concerns regulations on international protection. With regard to labor market access, the law allows applicants for international protection or conditional refugees including those under subsidiary protection to apply for a work permit six months after their international protection claim. However, under certain circumstances related to labor market conditions and career developments, this access to the labor market could be restricted for a given period, except for those refugees and subsidiary protection beneficiaries who have been residing in Turkey for three or more years, are married to Turkish citizens, or have children with Turkish citizenship. Although these laws facilitated the employment of non-Syrian refugees, they did not address the needs of millions of Syrian refugees very well. Almost five years after their arrival in Turkey, the Regulation on Work Permits for Foreigners under Temporary Protection passed in January 2016. According to the regulation, Syrian refugees can apply to the Labor Ministry for work permits six months after their registration for the status of “under temporary protection.” Applications are to be made online by their employer. If the individual will work independently, then the application will be made by the foreigner under temporary protection. There are two important aspects of this law. First, employees cannot be paid less than the minimum wage. Second, the number of refugees under temporary protection is not to surpass ten percent of the number of Turkish citizen employees. The number of applications for work permits has not yet been made public, but hopefully this right to work will decrease interest in the informal market. The effect of the new labor force on Turkish labor markets will be better measured once employment in the informal sector moves to the formal sector. Following the regulation for those under temporary protection, the International Labour Force Law ([ILFL], Law 6735) was passed in July 2016 and is aimed at all migrants. According to this law, foreigners can receive a work permit valid for one year, which will be extended with each renewed application. Foreigners who hold long-term residence permits or legal work permits for at least eight years have the right to apply for indefinite work permits. Those with indefinite work permits will have the same rights granted to Turkish citizens with the exception of the right to vote, stand for election or public service, and military service liabilities. Turkey did not feel obliged to develop a national integration policy until the ratification of Law on Foreigners and International Protection. The most important aspect of this new law is that it aims to attract highly skilled workers to protect and increase productivity. In other words, unlike the previous regulations, the law employs a selective policy on the qualifications of immigrants to determine who will enter the Turkish labor market. Personal factors such as level of education and professional experience, an emphasis of contributions to science and technology, and activities and investments that have positive effects on the Turkish economy and employment are to be considered when granting the new Turquoise Card permits. Therefore, the introduction of the Turquoise Card system means that ILFL introduces managed migration that considers the need for a strong Turkish labor force. In summary, Turkey has taken a number of steps during the last five years to pass regulations aimed at creating an attractive economic environment and facilitating the process of applying for work permits for foreigners as part of the policies and practices of integrating migrants and refugees into the wider societal environment in the country. When considered from a broader perspective, the evolution of the integration process depends on many different factors besides those explained above. The Settlement Law of 2006 grants the right to permanent settlement in Turkey only to persons of Turkish descent and culture. In addition, Turkey’s geographical limitation included in the 1951 Refugee Convention precludes non-European asylum seekers from permanent settlement in Turkey. These two legislative reservations accord refugees with a temporary protection status that disqualifies them from the prospect of long-term integration as a lasting solution. With the vast majority of refugees coming from non-European countries, Turkey did not feel obliged to develop a national integration policy until the ratification of LFIP, which, for the first time, included provisions on migrant integration in April 2013. Therefore, the integration of non-European asylum-seekers is a new concept in Turkey referred to as “harmonization”. Following the eruption of Syria’s humanitarian crisis, international aid funnelled to Turkey fuelled the number of projects attempting to facilitate the integration of Syrians. Among them, the most common approach is through establishing community centers in areas with large Syrian populations. International organizations including UN agencies; the Bureau of Population, Refugees, and Migration (BPRM); the European Commission’s Humanitarian Aid and Civil Protection Department (ECHO); as well as international NGOs such as the Danish Refugee Council (DRC) and Mercy Corps have funded community center projects that are usually implemented by their local Turkish counterparts. Previous integration research suggests that migrants and refugees continue to face barriers in accessing the education system and health services, and in acquiring decent housing, even when they are employed. They are frequently at greater risk of poverty or social exclusion compared to host-country nationals. Refugees are exposed to a particularly high risk of exclusion. Therefore, well-established comprehensive integration policies will need to cater to migrants and refugees, especially to provide for their immediate need for education, health, and housing. Education services for foreigners became especially important with the increasing refugee population in Turkey. In fact, national Turkish legislation related to education states that all children, including a foreign national have the right to benefit from free “basic education.” Basic education, which is up to grade 12, is mandatory under Turkish law. Even though the right to education is available for all, Syrian refugees had difficulties enrolling their children into the public school system, mainly because of a lack of any clear regulation indicating the formal procedures for the enrollment of the students. It appears that there have also been practical limitations such as language barriers and lack of space in the classrooms. Growing concerns about the education of Syrian children led to the release of Turkish Ministry of Education Circular No:2014/21 on “Education Services for Foreign Nationals” on 23 September 2014. The circular aimed to guide and better frame the application process for all migrant children to have access to education services and specified options for Syrian refugee children. First, the circular provides for the establishment of Ministerial and Provincial commissions to publish reports that focus on the educational needs of foreigners and ensure coordination between civil society organizations and/or international organizations (stakeholders) and public institutions. Moreover, the Provincial Commissions in particular are responsible for guiding and implementing the application process for educational services for foreigners. They determine the educational institutions that the children will attend on the basis of the diplomas and education certificates they hold. Syrian refugees had difficulties enrolling their children into the public school system, mainly because of a lack of any clear regulation indicating the formal procedures for the enrollment of the students. Another option for the children of Syrian refugees besides public schools is to enroll into Temporary Education Centres (TECs), which are available in urban areas and in some refugee camps. TECs follow modified Syrian curriculum and are taught in Arabic. In fact, the need for such centres mostly arose because of the aforementioned language barriers the children face in public schools. These centres are monitored by Provincial Commissions in order to take the measures necessary to implement certain courses and trainings such as teaching Turkish, providing extensive vocational training, and arranging social and cultural activities. Furthermore, the Ministry Commission coordinates with civil society institutions and/or international institutions to help meet the educational needs of foreigners coming to our country, including the implementation in TECs. For instance, UNICEF is providing incentives to Syrian voluntary teachers and training them on pedagogical techniques, classroom management, and psycho-social support. Even though the Syrian families opt to enroll their children in these TECs because the students attending these centres share the same culture and language, challenges still exist. The most important caveat is that some TECs are not accredited by the Turkish government due to the low quality of teaching.. The travel costs to these centres seem to be a problem for urban refugees (for this reason the International Organization for Migration [IOM] is providing transportation to school for urban refugees in some areas). With regard to access to health services, the 2014 Temporary Protection Regulation ensures that Syrians under temporary protection have the right to benefit from health services and that health services will be provided under the control and responsibility of the Ministry of Health in coordination with the Disaster and Emergency Management Presidency of Turkey (AFAD). Circular 2014/4 and circular 2015/8 published by AFAD regulated the accession processes and the coverage of services available to Syrian refugees. These circulars state that the refugees that are not registered with the Directorate General of Migration Management (DGMM) cannot benefit from health services other than emergency services and primary health services (i.e. in case of contagious diseases). Registered refugees have access to all health services provided in the province where they are registered and they need referral for health facilities in other provinces. The necessity of a public-funded housing and shelter mechanism arises from the fact that the majority of refugees live outside the camps. An important problem for the refugees is the language barriers with health care providers. The work permit for foreign health professionals has attempted to help this problem since the beginning of 2016. In particular, Syrian medical staff can work after approval from the Ministry of Health and serve Syrian patients mainly in Migrant Health Centres and the health facilities of the refugee camps. Migrant Health Centres are established by the Ministry of Health in order to provide health care services such as outpatient, maternal and child health, health education, and vaccination services to refugees under temporary protection. The services provided in these centres collaborate with international organizations as well. For instance, the World Health Organization (WHO) is training refugee doctors and nurses for their smooth adaptation in the Turkish health system. They are organizing training and workshops in collaboration with the Ministry of Health on specific issues related to Syrian refugees and expanding their outreach. The WHO will be responsible for supporting six of the centres that are located in areas densely populated with Syrians. The IOM is also active in this field thanks to its funding of two multi-purpose community centres and a primary healthcare clinic in Istanbul in cooperation with partner NGOs: International Blue Crescent (IBC), Syria Social Gathering (SSG), and Doctors Worldwide Turkey (DWWT). Lastly, it must be noted that currently there are no public housing opportunities besides refugee camps in Turkey. Syrians coming to Turkey who intend to remain outside the camps can live in any province they prefer, but they have to register in the city where they reside in order to access public services. Therefore, those who choose to live outside the camps need to provide their housing expenses themselves. Although the Deputy Prime Minister Nurettin Canikli announced the possibility of long-term mortgages to purchase TOKI (Housing Development Administration) housing in July 2016, there has yet to be any legislation on the subject. The necessity of a public-funded housing and shelter mechanism arises from the fact that the majority of refugees live outside the camps. The most important reason why Syrians prefer to live outside the camps is that they do not want to restrict their freedom. However, living outside the camps has its own difficulties, including finding affordable housing. Families with limited finances often cluster around the poor neighbourhoods, some of which are slums, and some families have to live together in small houses under unhealthy conditions. Therefore, better regulations on rental rates and public housing systems are needed. To conclude, even though there are still problems with the process of integrating refugees, the integration policies on access to labour markets, education, and health services are gradually improving. Policies with long-term solutions are needed in each of these areas. The need to address the problem of refugee housing opportunities is dire due to a current lack of public policies that focus on the settlement of refugees in urban areas to avoid increases in rental prices and irregular housing arrangements. Turkey is also aiming to support Iraqi Turkmens displaced by ISIL, through refugee camps in northern Iraq. Helen Schwenken and Sabine Ruß (eds. ), New Border and Citizenship Politics (Hampshire: Palgrave Macmillan 2014). Bulent Cicekli, “Reforms Introduced by the Act on Foreigners and International Protection (AFIP) into the Turkish Law on Foreigners and Refugees,” Review of International Law and Politics, Vol. 12, No. 1 (2016), pp. 75-120. Ahmet Icduygu, “Syrian refugees in Turkey: The long road ahead,” Migration Policy Institute, (2015). Please note that the curricular grants the right to enroll in the temporary education centres to all foreigners who come to our country as a mass influx which applies to Syrian refugees in particular given the migrant groups in Turkey. 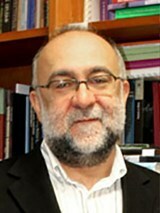 Prof. Dr. Ahmet İçduygu is the director of the Migration Research Center (MiReKoç) and Dean of the College of Social Sciences and Humanities at Koç University, Istanbul.